Will We See A Recession And A Rally In Gold In 2019 Or 2020? We will see a recession and a rally in gold in 2019 or 2020. True or false? We invite you to read our today’s article about ‘recession in 2020’ narrative and find out what it all means for the gold market. 114 months. So long is the current US economic expansion. It officially started in June 2009, and if the country avoids recession until July 2019, the uptrend in the business cycle will exceed 120 months, becoming the longest expansion since at least 1857, when the NBER began recording economy. Last year, we analyzed the popular claim that “the current expansion is so long, that it must end soon”. Surprisingly for us, we reached similar conclusions to Janet Yellen, who said once that expansions do not die of old age. However, many analysts present more sophisticated arguments for the upcoming crisis. For example, Morgan Stanley has recently estimated the odds of recession in the US at 15 percent in 2019 and 30 percent in 2020. Larry Summers, the former Treasury Secretary, has gone even further, putting the chances of a recession in the US within the next two years at about 50 percent. The space for fiscal or monetary stimulus is limited now, so the policymakers will not prevent the deep recession. Roubini and Rossa make some good points, that’s for sure. The correction in the stock market has already started. But we believe that it’s actually something positive. The Fed is moving off the monetary drip, which has to come with painful adjustments. Correction today means lower risk of harsh burst tomorrow. And although the risky assets are subject to repricing, so far we do not see systematic risk emanating from the US financial system. Actually, the financial conditions, although tightened, remain accommodative, as the chart below shows. 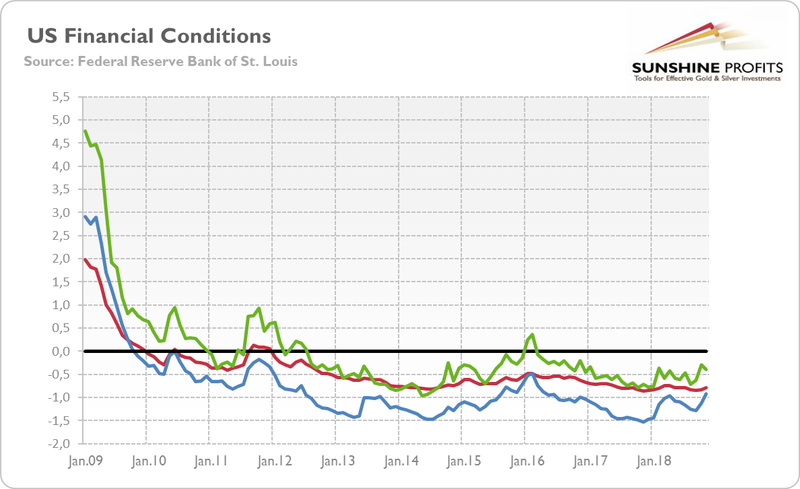 Chart 1: Chicago Fed National Financial Conditions Index (red line), St. Louis Fed Financial Stress Index (blue line) and Kansas Fed Financial Stress Index (green line) from January 2009 to November 2018. We totally agree that fiscal stimulus will run out by 2020, but it does not necessarily imply a recession – after all, the economy grew also before Trump’s tax cuts. Slowdown – yes, recession – not necessarily. However, we do not buy point no. 6 – we don’t want to argue that Europe can’t experience slower growth, but not due to the monetary tightening and trade frictions. Actually, Europe may benefit from the trade dispute between US and China, and American and Chinese companies may trade more with European partners. And although the ECB stopped its quantitative easing, it will reinvest the principals payments from maturing bonds and it will not raise its interest rates through summer 2019 – so there is hardly any monetary tightening in the Eurozone. Other points are also debatable. As the pace of money supply growth slows down (see the chart below), inflation may remain constrained. Politics is always quite unpredictable, but it’s not so obvious that Trump will escalate the trade conflict with China endlessly (or engage in some military conflicts) – if China makes some concessions (just like Mexico and Canada did in case of NAFTA), Trump could strike a deal. 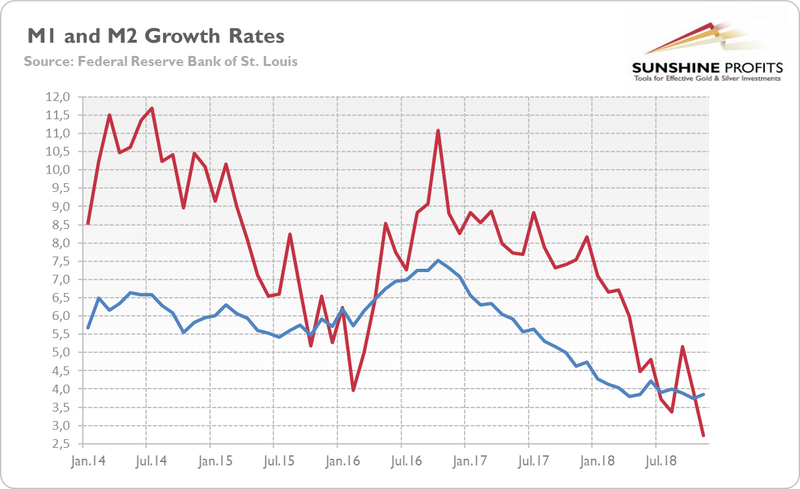 Chart 2: US M1 (red line) and M2 (blue line) annual growth rates from January 2014 to November 2018. Does it mean that we do not see any risks? Not at all – we do see many risks. On a global scale, China is probably the biggest question mark. The indebtedness is growing – and one day, the Red Dragon may fall under the burden of all this debt. Within the US, we see the non-financial corporate leverage as the biggest current threat. During a downturn, a lot of companies will go bankrupt, which would worsen the situation. However, high risks are not immediate risks. To sum up, expansions do not die of old age. They end because of significant imbalances in the economy and excessive monetary tightening, which reveals them. However, although the Fed tightens its stance, the interest rates are still below neutral level, while financial conditions remain favorable. And, regarding potential imbalances, the household balance sheets are not strained (see the chart below). The corporate sectors look more vulnerable, but we do not see a massive overinvestment in capex as before previous recessions. 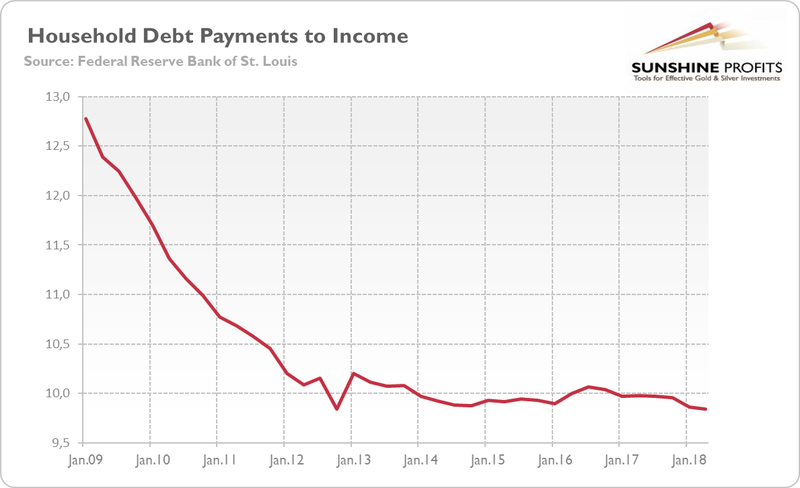 Chart 3: Household Debt Service Payments as a Percent of Disposable Personal Income from Q1 2009 to Q2 2018. What does it all mean for the gold market? The lack of clear typical warning signs that preceded the past recessions put the ‘recession in 2020’ narrative into question. It weakens the arguments saying that gold has to rally soon, as the next crisis is just behind the corner. Having said that, gold may shine even without a recession. All it needs to shine, is the bear market in the US dollar. It’s too early to call it, but if the fiscal stimulus and monetary tightening run out of steam, the greenback will lose an important part of its support, which would allow gold to catch its breath. If you enjoyed the above analysis and would you like to know more about the fundamental outlook for the gold market, we invite you to read the January Market Overview report. If you’re interested in the detailed price analysis and price projections with targets, we invite you to sign up for our Gold & Silver Trading Alerts. If you’re not ready to subscribe yet and are not on our gold mailing list yet, we urge you to sign up. It’s free and if you don’t like it, you can easily unsubscribe. Sign up today!